Applications for the management of stock or inventory items in stores. 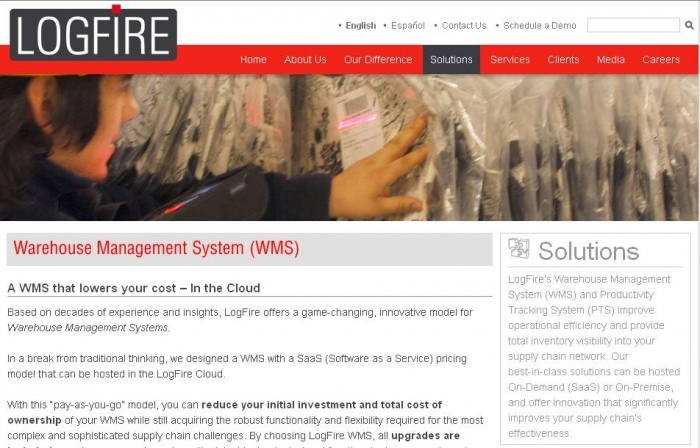 Based on decades of experience and insights, LogFire offers a game-changing, innovative model for Warehouse Management Systems. 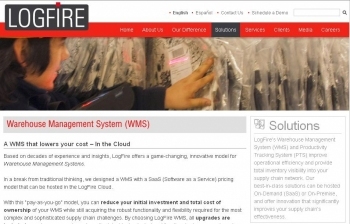 In a break from traditional thinking, we designed a WMS with a SaaS (Softwarea Service) pricing model that can be hosted in the LogFire Cloud. With this “pay-as-you-go” model, you can reduce your initial investment and total cost of ownership of your WMS while still acquiring the robust functionality and flexibility required for the most complex and sophisticated supply chain challenges. By choosing LogFire WMS, all upgrades are included ensuring you can always have the latest technological and functional advances we have to offer.